I am writing this blog post after I explored and inspired by the creative capacity of my better half – my wife Manasi. I knew and witnessed that she is good at art, drawing, painting and crafts, which is actually her passion. But paper quilling and creating jewelry out of them was a new arena that she wanted to explore, which was a part of Jewelry Designing and Making. She saw a post of a jewelry making workshop (mainly the paper quilling one) in one of the posters and shared the same with me. She expressed her desire to take part in the workshop. 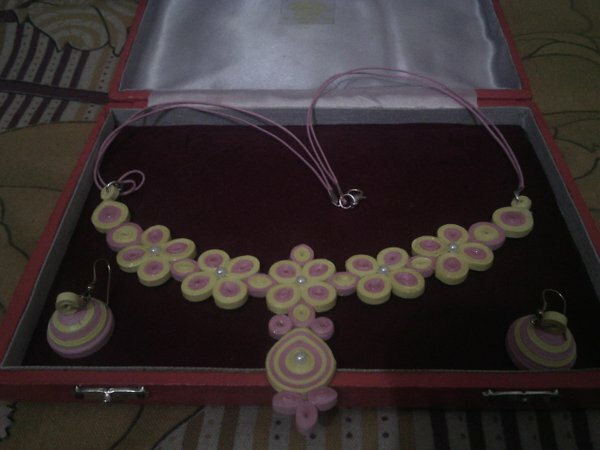 I was aware that she had the aspiration of exploring the arena of jewelry designing and making and seeing her enthusiasm I got her enrolled for the workshop. The workshop was for about three hours and the primary agenda topic of the workshop was to help the candidates to learn how to make a necklace using the quilling paper technique. 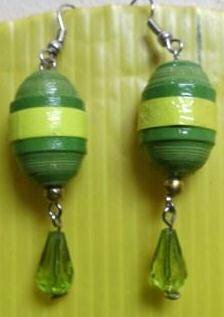 The first one that she made in the workshop is the one in the below picture. She created only the necklace in the workshop, as the time only permitted for making the same. 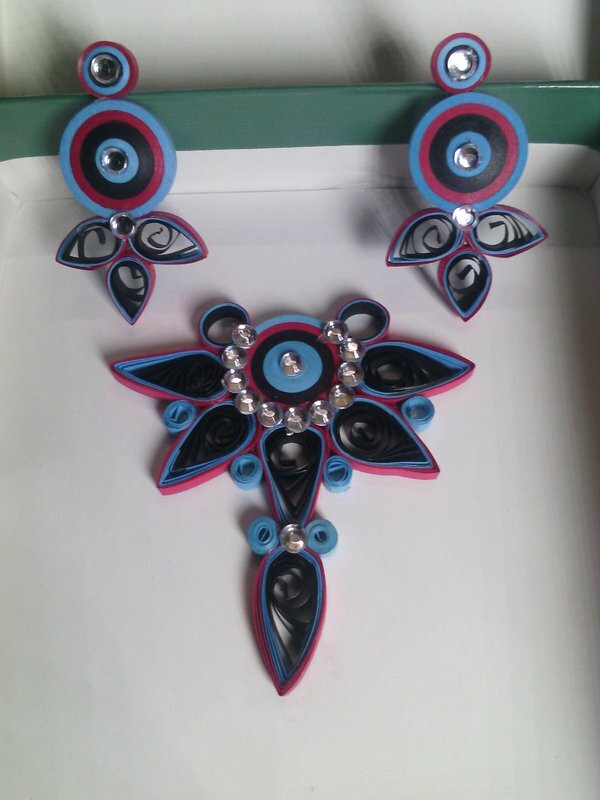 The workshop ignited her creative avatar to a greater extent and the matching earrings were the creations post the workshop while she was at home. That’s not all… She did not limited her creativity just to that set of necklace and earrings. She went ahead and started exploring more over the internet and curated ideas of design from her mind. Couple of them are here that worth sharing in this blog post. Hats off to the workshop that made me to explore a different side of Manasi and I do encourage her to explore more in this arena and follow her passion. I too do quilling and love it. But not so skilled a Manasi. Awesome job done. Keep the spirit.